Flautist Sarah Bennett was originally to play for us on this date, but has had to withdraw for an excellent reason: she has been given a full-time post with the Halle Orchestra in Manchester. We wish her every success in her evidently burgeoning career. Happily, the equally talented Daniel Shao has been able to take her place. He and his accompanist Daniel King Smith appear in Stansted as part of the Recital Sheme of the Countess of Munster Musical Trust, to whom we are as ever very grateful for their support. Daniel Shao was born in 1995, and is currently studying for an MA at the Royal Academy of Music in London under professor Samuel Coles, supported by the Countess of Munster Musical Trust. Before this, Daniel read for BA in music at St Catherine’s College, Oxford, from where he graduated with first class honours. He previously attended the Purcell School, and has participated in many masterclasses to flautists such as Denis Bouriakov, Rachel Brown, Michael Cox, Sophie Cherrier, Gareth Davies, and Kersten McCall. Daniel often plays as an orchestral flautist including as principal flute with the Britten-Pears Orchestra, Janus Ensemble and Oxford University Orchestra, and was co-principal of the National Youth Orchestra of Great Britain and the London Schools Symphony. He was selected for the London Symphony Orchestra Academy 2015, and this year has successful auditioned for the Music Academy of the West and Lucerne Festival Academy. 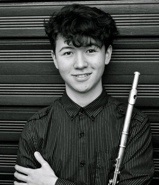 Daniel has won prizes in several competitions including 1st prizes at the British Flute Society Competition Class B, International Award 'Carl Reinecke' in Italy (Junior Category) and 2nd prizes in the Bromsgrove and Ernest Bloch International Competitions. He was a wind finalist of BBC Young Musician 2014 and was the joint winner of the Felsenstein Leavers Award at the Purcell School. Additional prizes include Newbury Young Musician of the Year, Gregynog Young Wind Player of the year, and 1st prizes in the Oxford Philomusica and Brighton 'Springboard' concerto competitions. Since joining the RAM, he was highly commended in the annual flute prize, and very highly commended in the piccolo prize. Daniel has played concertos with orchestras including the Oxford Philharmonic, Amadeus Orchestra, and Kingston Chamber Orchestra, and has performed solo recitals at venues including Wigmore Hall, Cadogan Hall, Royal Albert Hall’s Elgar Room, and broadcasted on BBC4. Daniel King Smith has given concerts all over the world as both soloist and accompanist. He studied at the Royal Academy of Music where he won the Harold Craxton and Max Pirani prizes for Chamber Music and others for his all-round musical ability. His teachers were Piers Lane, Ruth Nye and Vanessa Latarche. His extensive concerto repertoire has lead to many concerto performances in the UK and around Europe, including the Royal Festival Hall, London, various theatres in Cataluña, Spain, and San Stefano al Ponte, Florence. Daniel has frequently been a featured Solo Classical Artist on many Cruise lines including Crystal and Cunard. Accompaniment and chamber music are a major part of Daniel’s life and he has been staff accompanist at both Royal College of Music and Royal Academy of Music Junior Departments and at the Purcell School leading to concerts for Prince Charles, at the Wigmore Hall and at the Royal Albert Hall. He also regularly accompanies masterclasses and end of year recitals at the London conservatoires and is often official accompanist for the Countess of Munster Trust auditions. Daniel accompanies on summer music courses including the British Isles Music Festival and Musicale. He has given recitals all over the world with Michael Collins, Carmel Kaine, Susan Milan, Robert Max, Stefano Canuti, Yuki Ito, and Anna Hashimoto, among many others. Daniel has performed on BBC Radio 3 and BBC Radio Ulster, and appeared in the televised finals of BBC Young Musician of the Year 1996 as soloist and regularly since then as accompanist. 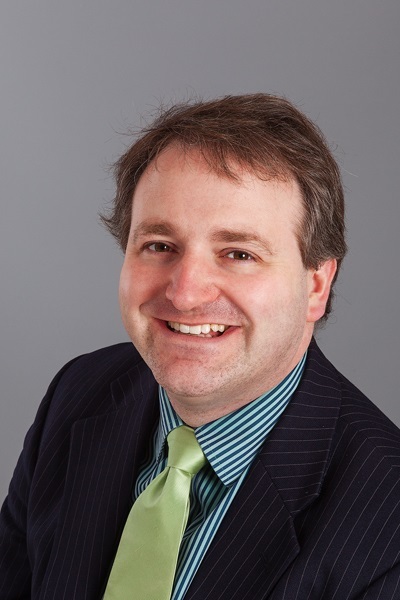 He was also a prizewinner in the Haverhill Sinfonia Soloist competition in 1996 and has subsequently won the Best Accompanist Prize in the same competition. In September 2003 he played as orchestral pianist with the Philharmonia Orchestra.